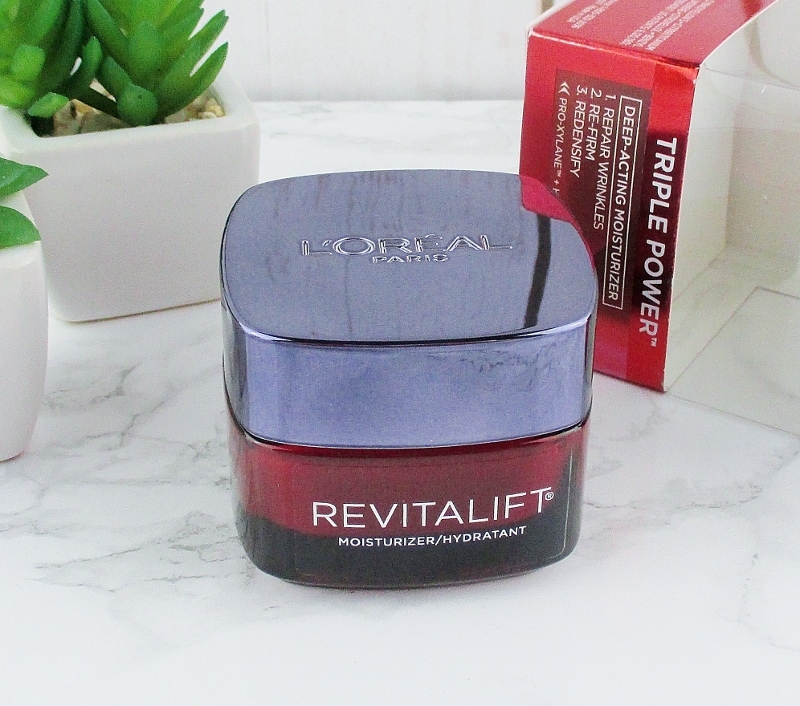 This triple action skin cream with Pro-Xylane and Hyaluronic Acid fights wrinkles, re volumizes, strengthens skin and enhances natural collagen production to firm and tighten skin. In Four Weeks: Skin elasticity is increased and the complexion looks firmer and younger. 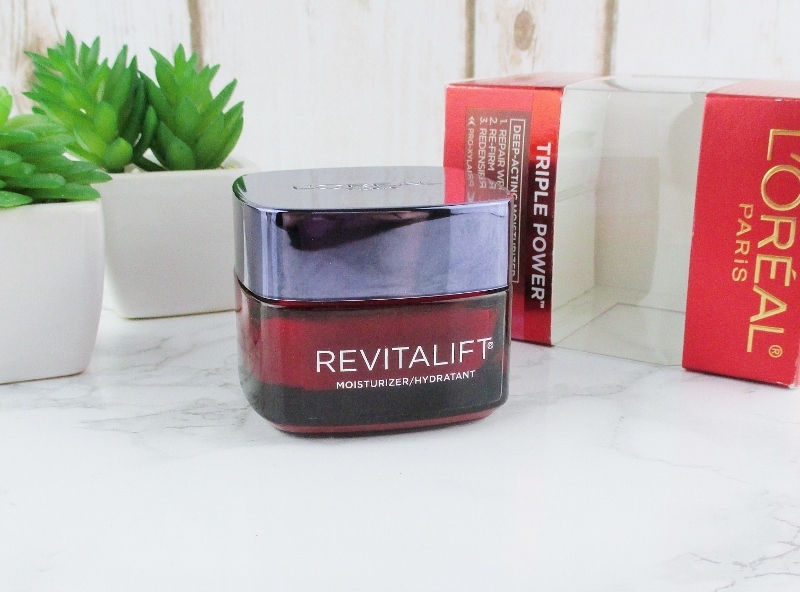 Contained in a heavy red glass jar with a gunmetal toned lid is a thick, spicy/floral scented cream that smooths nicely across the skin and doesn't take much time to absorb and get to work. I found this cream to be hydrating and softening, I didn't experience any firming or tightening action. I used and liked this cream for a few days then it went sideways on me. Suddenly, my skin, rather than feeling happy and hydrated began to feel dehydrated and uncomfortable and the cream, which had been absorbing fairly well was sitting on the surface of my skin, pilling up and rubbing off. I don't know why this happened, I keep my skin well exfoliated and usually, when a cream hydrates and softens my skin, it keeps doing so. Not this time. From the many reviews of this cream I have recently read, people are really enjoying and seeing good results. Unfortunately, L'Oreal Triple Power Deep Acting Moisturizer and my complexion just weren't compatible. Rather than tossing it, I passed this cream along to my mother in law to try and she loves it! She says that her skin feels soft and nicely moisturized and she likes how the pretty jar looks on her bathroom counter. What I liked about this moisturizer: The jar is pretty tho to be honest, I prefer pump or squeezy tube packaging for skin care. I like the scent (I'm one of those weirdos who loves scented skin care) and the silky, heavy texture that none the less applies and sinks nicely into the skin. 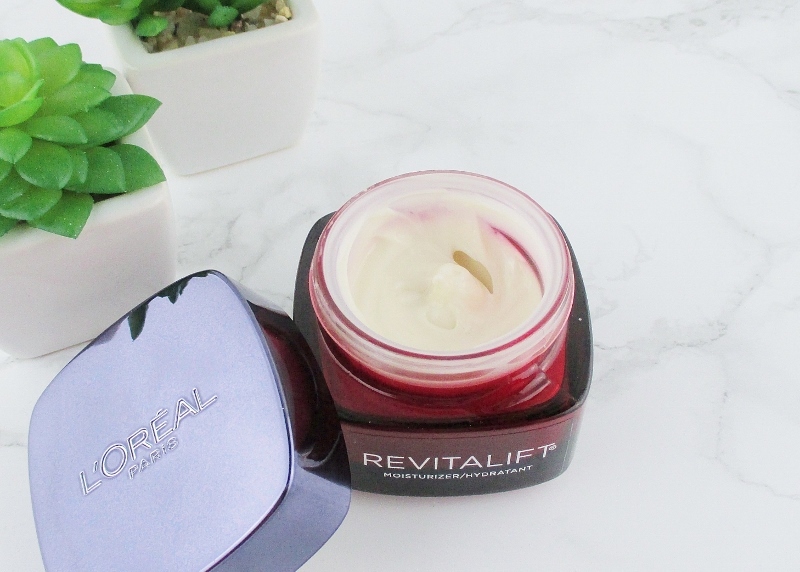 What I didn't like: This face cream just isn't compatible with my complexion and I didn't get to use it long enough to ascertain whether or not it is, indeed firming and lifting. This cream is making my mother in law happy. 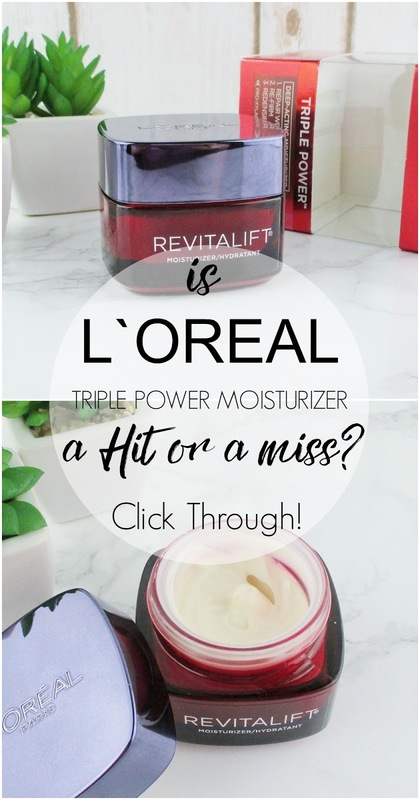 L'Oreal Triple Power Deep Acting Moisturizer, at $25. for a 1.7 oz jar is affordable and easy to buy from Ulta Beauty and drugstores and mass market retailers who carry L'Oreal skin care and it's worth giving a go. Just save your receipt. Have you tried this moisturizer? What has been your experience? Please share in a comment. This review was very helpful to read. Thanks! I received this cream also. I have oily skin and it was WAY too heavy for my skin; it felt like I was wearing a greasy mask. And I am not a huge fan of scented products (especially floral) so I didn't like that about it either. So basically it was a huge no for me! Whoa, that was a definite miss for your skin. At least it didn't go to waste, and your mother-in-law loves it! The exact same thing happened with the Algenist Genius cream for me. Worked brilliantly at first. Then, it kept pilling and rubbing off on my pillows, taking half my precious serums with it. I wonder what they have in common that did not suit us? Thank you for your honest review. What an odd occurrence! Im glad it didn't cause any kind of reaction. And I'm glad your MIL is loving it! PS! By reaction I mean allergic/rash etc! I just can't get behind the fragrance on this. I wish it was otherwise since many people do like it. It's funny that your MIL does since my mom would have too. I tried this but it didn't work for me--too thick and I didn't see results. Bummer that it didn't work for you, but awesome to hear it worked for your MIL likes it. What are the differences between your two skin types? What a bummer. It does sound like a great option otherwise.